Submitted by Michael Fey (not verified) on July 13, 2008. Great tutorial, thanks for putting it together. The one problem that I'm seeing is that the trac.cgi script referenced in the trac.conf file does not seem to exist in the release that I just installed from MacPorts. I did a search for it in my /opt directory with no luck. Any ideas? Can you just send me yours? Submitted by Justin on July 14, 2008. However, there may be something involved with getting .py to run, so as I said, I'll update the guide when I give it a shot. Submitted by Michael Fey (not verified) on July 16, 2008. Modifying the ScriptAlias definitely gets me farther, but I get an error about clearsilver not being installed in the apache logs. Installing clearsilver (port install clearsilver) seems to get it installed, but it fails to activate it. I'll be curious to see what you find when you give it a go. Thanks for the response. Submitted by Justin on July 17, 2008. I'm still plugging away at this -- see ticket update. I think that MacPorts should be including some build scripts to setup the CGI under the new layout, and I can't figure out how to do it myself because Trac's own documentation (including the internal wiki) isn't fully updated for 0.11 yet. Submitted by Justin on August 4, 2008. Then, the installation was accessible at http://127.0.0.1:8000/. However, after reading this ticket on the Trac project, I see I'm not the only one with this problem. The upgrade to 0.11 leaves much to be desired. I use /usr instead of /opt here since 0.11 installs stuff at /opt/local/share/trac/contrib and deploy won't allow overwriting or adding to this directory. Update the Apache configuration in /etc/apache2/other/trac.conf to point to /usr instead of /opt. Restart Apache with sudo apachectl graceful. Seriously? This could be a shade easier. I'll be watching the ticket to see what they do about this. Well now I'm a bit confused. Submitted by Michael Fey (not verified) on August 4, 2008. Yet, if I run port installed trac it tells me trac @0.11_0 (active) It seems that trac-admin is a version behind the trac installation. I know this is probably outside the realm of this tutorial, but if you have any ideas I'd love to hear them. @Michael: Hmm, only thing I can guess is that perhaps 0.10.4 is still installed, but partially deactivated or something like that. Does it show up in port list installed | grep ^trac? Also, check which trac-admin to make sure you're using the MacPorts one. Submitted by Steve (not verified) on December 15, 2008. Is this to be expected? Huh? What do I do with that? Sigh... Any clues hints/ tips. Submitted by Justin on December 16, 2008. Submitted by alistair on March 8, 2009. ...I'm working through this right now, and am also getting the same "Interpreter not initialized" just after importing WikiStart. Submitted by dogcow on March 24, 2009. I ran into the same issue as many of the above had. I got this working with a little help from the guys @ macports. 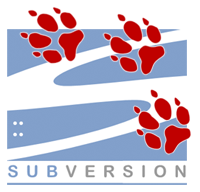 Turns out that I had installed the subversion-python25bindings port BEFORE running python_select python25. This caused the bindings to use the native python installed w/ Leopard. 7- with any luck trac-admin will now run w/o a hitch.